I work for People Service, which cares for Mentally Disabled people. Therefore, this topic hits close to my heart. I would love for others to understand the way they think and the way they communicate. Many people treat them as if they are not people, but animals. These people are not incompetent,they have feelings,and they know what hurt is. I once read an article referring to them as "trainable". Last time I checked they are people, just like you and I in many ways. Obviously, they may not have what some may call a "normal" physical appearance,and sure they may be slower,but they are human beings, just like you and I. Mental retardation refers to substantial limitation in present function. It is characterized by significantly sub-average intellectual functioning, being able to accurately relate limitation in two or more of the following applicable adaptive skill areas; communication, self-care, home living, social skills, community use, self direction, health and safety, functional academics, leisure and work. Mental retardation happens before age 18. Many people think that mental illness and mental disability are the same thing,but they are not. Although a disease may be a cause, mental retardation is a condition and not an illness. Mental retardation occurs when normal development fails to take place, while mental illness is a disorder of thinking and emotion. Because of the many frustrations experienced by a person with mental retardation, it is not uncommon to find emotional problems with the label "mental retardation," but the two are not the same. However, if these terms are used as "Labels" with a certain set of expectations, or used at anytime instead of just saying "People" or the person's name, then they are not worth knowing or using at all. Individuals should not be "labeled" or devalued due to a medical condition... or any other reason. People with developmental disabilities are people first and should be respected, and treated as valued citizens at all times. About 5.5 million of U.S. children aged 6-17 have been diagnosed with Attention-Deficit Hyperactivity Disorder (ADHD). 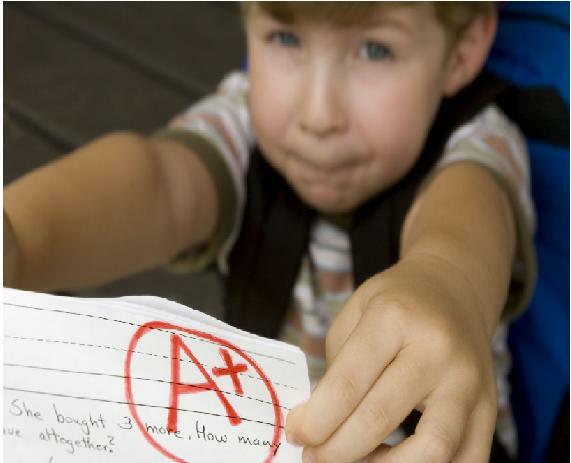 Boys are more than twice as likely to be diagnosed with ADHD than girls. An estimated 12 of every 1,000 U.S. school children have mental retardation, a disorder characterized by a significantly below average score on a test of mental ability and limitations in such areas as self-direction; school, work, and leisure activities; and daily-living, social, and communication skills. About 1 in 5 children have a language-based disability. One is called dyslexia, a learning disability that manifests primarily as a difficulty with written language, particularly with reading and spelling. Autism affects about two to six in every 1,000 kids, but no one knows what causes it. Kids who have autism usually keep to themselves and some can't communicate without special help. Every six out of 10,000 children have some form of pervasive developmental disorder (PDD), which means they have some but not all symptoms of autism. Over three million Americans (approximately 1%) stutter. An estimated 20% of children go through a phase of stuttering. Anxiety disorders affect about 40 million American adults (about 18%) in a given year. Most developed symptoms as children, but since anxiety disorders are often overlooked or misjudged, they were never treated and consequently carried the disorder into adulthood. Mentally challenged children are slow to learn, slow to process thought and have an impaired adaptive ability. They may also be slow in their physical development. The American Academy of Child and Adolescent Psychology states that, to be diagnosed as mentally challenged, a child has to have both a significantly low IQ and serious difficulties functioning in his/her day-to-day life. According to Mark Dombeck, Ph.D., licensed psychologist and director of MentalHelp.net, a child with an IQ of 75 or lower falls into the mentally challenged range. Some emotional and behavioral characteristics that are present in most mentally challenged children are that they are aware that they are not as intellectually adept as their peers. For them, knowing that can lead to self-esteem issues, as well as emotional and behavioral problems. Younger children may be withdrawn or anxious, or they may exhibit angry or attention-seeking outbursts. Teenagers may exhibit signs of depression. These problems, if not treated, can slow down a child's progress even more. Mentally challenged children often have accompanying physical problems, such as vision or hearing deficiencies, epilepsy or speech impairment. Although these problems are often associated with mental retardation, they are not the cause of mental retardation in and of themselves. There are no personality traits common to all mentally challenged people. 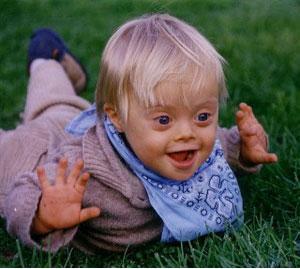 Characteristics like stubbornness and a low tolerance for frustration are often associated with mental retardation. However, many mentally challenged children are happy and passive. Like children with average mental abilities, intellectually disabled children have a broad range of personality types, and respond to challenges in their own unique ways. People often believe that mentally challenged children lack the capacity to learn. However, most mentally challenged children can actually learn a great deal, and can even expect to live moderately independent lives in adulthood. They just need the patience of others who are willing to work with them day by day..